Malek and Shakira had such an amazing engagement session -- this couple has an energy between them that is wonderful to witness. 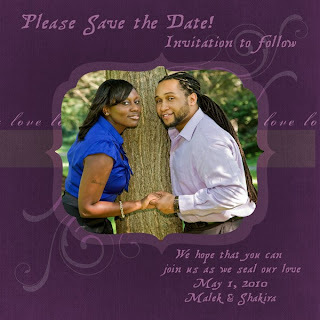 They have ordered 'save the date' cards -- here is a sneak peak. They are very excited and we cannot wait until we get to photograph their wedding in May!